Diana Evans is an award-winning novelist, journalist and critic. 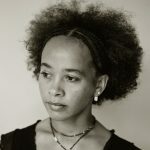 Her bestselling novel, 26a, won the inaugural Orange Award for New Writers and was shortlisted for the Whitbread First Novel and Commonwealth Best First Book awards. Her second novel, The Wonder, was published in 2009 also to critical acclaim. She is a graduate of the University of East Anglia’s MA in Creative Writing and has written extensively on music, dance and literature for national newspapers and magazines. She has appeared at literature festivals around the world and taught writing workshops for Arvon, Royal Holloway College, Brunel University and Fidelity Bank in Nigeria. She lives in London.